[Translate] There’s a healthy number of fine dining Mexican restaurants in Mexico City. The most obvious and most talked about restaurant is Pujol, which I will write about soon but there’s also a restaurant led by a strong woman, chef and restauranteur Martha Ortiz called Dulce Patria, meaning Sweet Homeland. (Ms. Ortiz has another restaurant, Ella Canta in London, U.K.) This restaurant is consistently listed among Latin America’s top 50 restaurants for the past few years. The restaurant had tables filled with diners on a Wednesday night and enjoying Chef Oritz’s bold, vibrantly flavored food that has an artistic, sensual,..
[Translate] Many thanks to our gracious and generous host Visit Monaco for our trip to Monaco. It’s been a true honor to see, feel, taste what your extraordinary principality is like. And goodness, it felt like heaven on earth! As you might have read the afternoon tea at Hotel Metropole earlier, we also had an epic lunch at Restaurant Joël Robuchon (different days though). 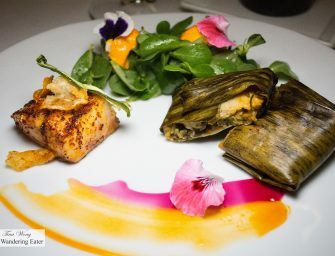 While planning for this trip to Monte Carlo, many friends, travel forums, and travel guides mentioned that one of the places one should have a splurge meal is at the 2* Michelin restaurant, Joël Robuchon. 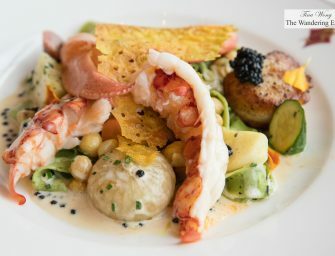 On..
[Translate] Four Seasons Baltimore opened its doors in 2011. 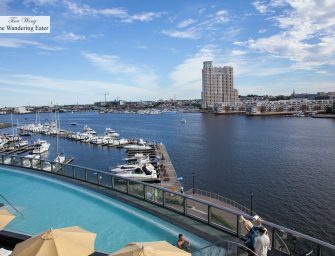 This property is located on the edge of Baltimore’s historical and picturesque Harbor East waterfront. Apart from the top-notch location, the stylish lobby, gorgeous rooftop pool area and, of course, the Four Seasons’ signature impeccable service. The hotel has elegant accommodations, appointed with marble bathrooms, plush down comforters, cozy terrycloth robes, flat-screen TVs, and a beautiful spa with plunge pools. We had dinner at one of their restaurants, Wit & Wisdom, a casual fine dining restaurant by Michael Mina is one of the hottest restaurants in Baltimore. 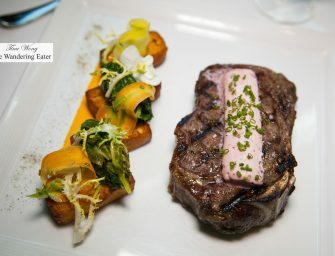 Chef Zack Mills helmed..
[Translate] Atlanta is a city where fine dining (a few NYC examples like The Modern, Del Posto, Per Se and so on) is generally rare. It’s a place where small, independent chef-driven restaurants as well as big box franchised restaurants are common. Restaurant Eugene in Atlanta’s Buckhead neighborhood is one of the few restaurants where Southern food gets the haute treatment — and it’s executed beautifully. 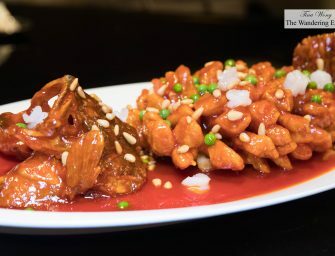 This restaurant is owned and operated by a husband-and-wife team of chef Linton Hopkins and sommelier Gina Hopkins and still going strong for nearly a dozen years. This jewel box of a restaurant decorated..
[Translate] The Bar and the Library at the NoMad As I’ve stated on the title, dinner at The NoMad restaurant is my first leg of my birthday celebration. It’s been a very good year thinking back in perspective. I’ve graduated with a Master’s degree and eventually got the job that I wanted (in the medical field). Least to say, I’m pretty content and feel very fortunate with life and thought this would be a good way to kick off my birthday celebration since I’ve been wanting to eat here for the past six months or so. 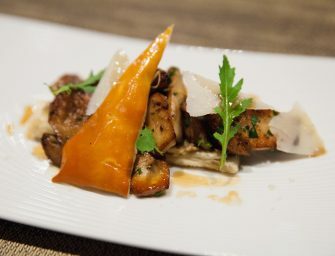 (The other part will..
[Translate] Outside of Manresa I have heard about Manresa and its Chef-Proprietor David Kinch for the past several years from the food media and it’s been placed on my list of restaurants I must eat since then. (Within the past 6 months, Manresa was earned a 2* Michelin rating and a spot within The World’s 50 Best Restaurants.) With the timing of my then graduation from my Master’s program and my dad’s birthday, it’s just one of those very good reasons not to pass up this opportunity to celebrate and dine at Manresa. (I wrote back on my post this..
[Translate] At the door to Atelier Crenn, interiors and the menu Atelier Crenn is a one-starred Michelin restaurant. This was one of my highly anticipated meals of my trip to San Francisco that I even made it as my first meal when I got off the plane from NYC. I have read many reviews from various newspapers and magazine (and was highly recommended by a palate I trust ChuckEats) that rhapsodize Chef Dominique Crenn’s food is creative, enchanting, beautiful food that tastes delicious. Chef Crenn earned her status over the years, especially her previous tenure at Luce at the InterContinental,..